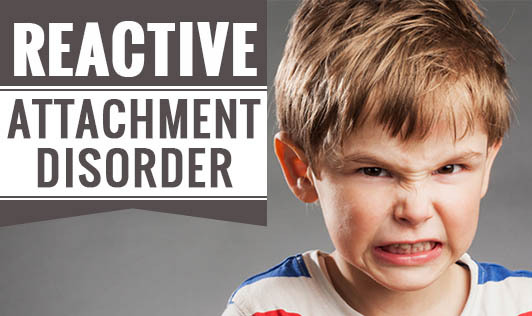 Reactive Attachment Disorder is a condition found in children who have received abominably neglectful care and do not form a healthy emotional attachment with their primary caregivers, usually their mother before the age of 5. Attachment between the caregiver and the child generally develops out of caring for, soothing and comforting your child. These meet the emotional needs of the child. Children learn to love, trust, regulate emotions, develop healthy relationships, and positive self image through attachment with a loving and protective caregiver. Treatment for RAD often focuses on the caregiver. Counselling may be used to address the issues that are affecting the caregiver's relationship and behaviour toward the child. Parenting skills can help improve the relationship with the child and develop attachment. Health care professionals may also include play therapy in the treatment, a technique that allows the child and the caregiver to express their thoughts, needs and fears in the safe context of play. Although there is no medication to treat RAD itself, the doctor may use mediation if the child has severe symptoms such as anger outbursts or sleeping problems. Recognizing a problem with attachment and providing interventions as soon as possible are essential to prevent RAD.